Choosing hardwood flooring for your home is an excellent way to bring an organic beauty into the space. The rich, warm tones that hardwood offers are hard to beat. For this reason, many homeowners are turning to hardwood as their first choice in flooring. 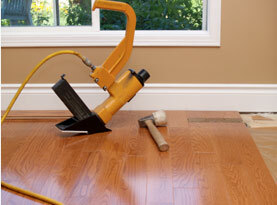 There are several different varieties of hardwood that you can choose for your floor. Today, Mike’s Custom Flooring would like to talk about wire brushed hardwood flooring and the many benefits that come with choosing it for your home. What is Wire Brushed Flooring? 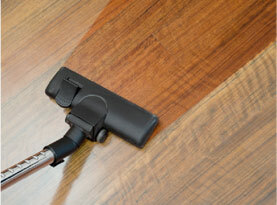 Among the several finishes that you have to choose from for your hardwood flooring, wire brush is one of them. 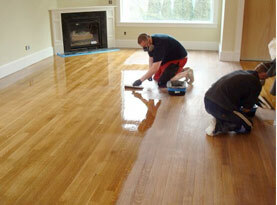 It involved the scraping of the planks with a wire brush to give them a beautiful, detailed finish. This process of scraping the planks is meant to bring out the soft grains that come from the natural growth of the tree. Rather than a glossy finish, this finish is a more distressed look. It gives the flooring the same appearance that reclaimed wood has to offer without the high price tag. Not every type of wood flooring is ideal for wire brushing. You don’t want to choose woods that are incredibly soft; as these woods will only come out of the process looking like they have been badly scratched. The two ideal types of wood for wire brushing are maple and oak. The wire brushing effect only enhances the natural beauty of these types of wood that will leave you with breathtaking results. As the wire brush pulls the softer fibers out of the wood, you are left with just the right amount of texture that isn’t only aesthetically appealing, but also a very natural approach to the finish of your wood floor. If you have chosen exotic flooring, like cypress, it isn’t going to give you the same effect when you attempt to wire brush the surface. The wood is far too dense and won’t give you the results you are after. Likewise, birch and cherry aren’t ideal either since their grain is incredibly fine. When you decide on wire brushed flooring, make sure you are choosing the right hardwood for this finish. 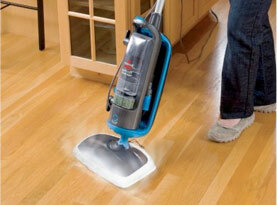 The best choice when it comes to stain for wire brushed hardwood flooring is one with a matte finish. You are trying to attain a more rustic, distressed feel and a semi-gloss stain will not give you those results. A stain that is too glossy will only help footprints to be highlighted and will not give you the raw look you are looking for in wire brushed flooring. If you are interested in wire brushed flooring for your home, you can count on the experts at Mike’s Custom Flooring to deliver. We have the experience needed to get the job done right and leave you with beautifully wire brushed flooring when you choose us. Call us today!